Peugeot has worked hard to make the Rifter MPV – formerly known as the Partner Tepee – look more appealing to young families and, to an extent, the design direction has worked. Inside, the cabin has an improved, upmarket ambience compared to its predecessor, and the Rifter is smooth to drive, making it ideal as a family car. Petrol-powered Rifter is the slickest to drive and quiet, too. A fine enough engine, but the gearbox is poor.  Interested in buying a Peugeot Rifter? Peugeot has done a bit more than pop glass in the panel sides to make it look less like a commercial vehicle. Inspiration comes from the brand’s highly successful current SUV range, incorporating the 2008, 3008 and 5008. As such, the Rifter has chunky lower bumpers, cladding around its wheel arches and lower sections, and a more horizontal bonnet when viewed in profile. It remains a tall, high-sided vehicle that aesthetically won’t be to all tastes, but in essence it has neat and more appealing styling than Peugeot’s previous efforts in this market sector. Some questionable plastics can be found within the Rifter’s cabin, but overall it’s a nice place to sit and spend time. The rotary gear selector on the automatic models feels a little flimsy, and there’s an uncomfortable meeting of three different plastic trim finishes on the passenger-side console, but what lifts the Rifter is the adoption of Peugeot’s iCockpit concept. 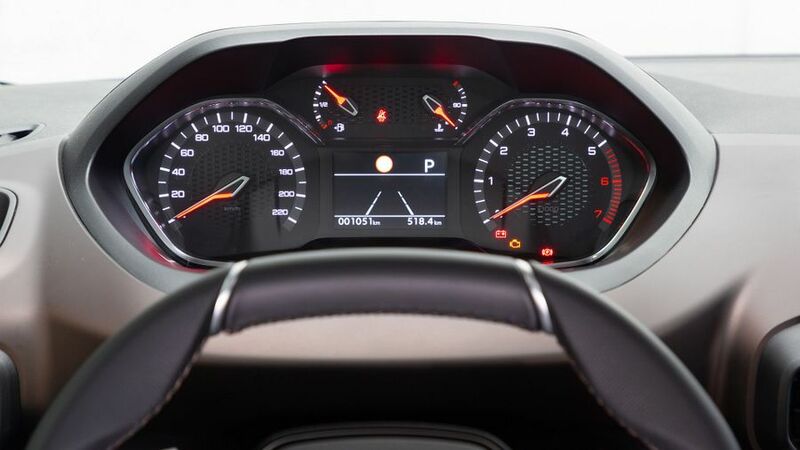 That's marketing speak for the clear, attractive analogue dials flanking a digital screen that’s mounted high up, in the driver’s eyeline, without obstructing the road ahead. Base Active models employ a DAB radio in a centre-console mounted add-on, but Allure and GT-Line versions of the Rifter are blessed with the eight-inch capacitive touch-screen infotainment. In this guise, the Peugeot’s cabin is most attractive and easy to use. This is the Peugeot Rifter’s strongest discipline. Its upright exterior dimensions lead to a vast cabin, even on the shorter-wheelbase version. Buyers can opt for five- or seven-seat configurations, while the second row of seats on most models are all individually sliding and folding items (except on the Active, where it’s a 60:40 split bench). The front passenger seat also folds flat, allowing items of three metres in length to be carried on board the long-wheelbase Rifter. Space in the optional third row of seats is tight in the standard car, but the long variant can carry seven tall adults on board with little difficulty. Boot space starts at 775 litres with all seats in place, and rises to a simply vast 3,500 litres with all rear seats folded down, while the corresponding figures on the long model are 1,050 litres and up to 4,000 litres. The top-spec Rifter also enjoys a split tailgate, in which the rear windscreen can be opened on its own, if space behind the vehicle is tight, for example. Additionally, there’s up to 92 litres of storage space in the cabin, in the form of door pockets, upper and lower gloveboxes, transmission tunnel stowage with a sliding cover, under-seat storage for the driver’s and row two’s seats and also the unusual Zenith roof – which brings in not only a panoramic expanse of fixed glass with an electrically sliding blind, but also a transparent, side-lit ‘bow’ in which 14 litres of space for odds and sods is available. Besides this, there are multiple USB, 12-volt and 230-volt sockets dotted around the interior, as well as wireless smartphone charging as an option. Any complaints? Well, the storage between the front seats, while vast, isn't compartmentalised, so stuff tends to rattle about. And the cupholders, mounted at each end of the dashboard, can't cope with larger containers, which could be annoying. The Rifter has perfectly adequate handling. It’s got necessarily light steering and a noticeable amount of body lean. You’re not going to want to fling it around corners, but if you did, you wouldn’t buy a Rifter. However, the ride comfort is very good. The Rifter soaks up very poor road surfaces with aplomb and never overlays its driving manners with much in the way of wind and tyre noise, either. With light, well-judged controls and great visibility out in all directions (with the exception of the chunky bases of its front pillars, which might prove problematic in terms of blind spots for shorter drivers), the Rifter is good both in urban areas and out on open roads. Peugeot offers two distinct engines in the Rifter: a 1.5-litre diesel and a 1.2-litre, three-cylinder turbo petrol, and then broadens the scope of the MPV by offering these in a variety of power outputs. The diesel is available with anything between 75 and 130 horsepower: the 75hp and 100hp models mated to a five-speed manual gearbox, while the 130hp gets a six-speed manual with a new eight-speed automatic as an option. Peugeot’s award-winning three-cylinder PureTech petrol engine is offered at launch with 110 horsepower and a six-speed manual, with a 130 horsepower automatic option coming later. All engines are smooth and quiet in operation, and there’s enough grunt in even the lower-powered diesels for the MPV to make acceptable progress, but the 100 horsepower diesel is saddled with a very clunky action for its gearbox. We’d advocate looking at the 110 horsepower petrol, which has a sweet and perky engine, as well as a much nicer gearshift for its six-speed gearbox. Compare the Rifter to some of its rivals, and it starts to make a lot of financial sense. It's around the same price as the Citroen Berlingo, which is mechanically very similar, and considerably cheaper than Seat's Alhambra, although in fairness, Seat offers a bit more grunt in its engines and a nicer interior. The Peugeot, however, benefits from stronger resale values than the Citroen, which over the course of a few years should make it a better financial option. Peugeot as a brand is in the top half of the Warranty Direct's Reliability Index, which ranks manufacturers according to their historic performance. The old Partner Tepee has a very high rating, because it was a reasonably simple MPV based on a van, which needed to be reliable. The Partner name lives on with the van version of the Rifter, so there’s every likelihood the new MPV will continue to prove a dependable vehicle as a result. That optimism is backed up by JD Power's 2018 Vehicle Dependability Study, which looks at more recent reliability data, and puts Peugeot in eighth place overall. Should anything go wrong, every new Peugeot also comes with a three-year/60,000-mile warranty, with extensions available for fixed fees after that. Every Peugeot Rifter comes with at least six airbags (two in the front and four curtain airbags running along the sides of the cabin), anti-lock brakes, electronic braking distribution, emergency braking assistance and a Safety Pack that includes lane keeping assist, speed limit recognition and automatic emergency braking. There are three Isofix child seat fittings in the second row. Options further up the range include blind spot monitoring, adaptive cruise control, a trailer sway mitigation system, and driver attention alert tech that stops you nodding off behind the wheel. That's not a bad line-up for what is basically a van, but the Rifter only scored four out of five stars during crash tests by safety organisation Euro NCAP, with its automatic emergency braking system being singled out for disappointing performance. There’s a three-tier trim line-up: Active, Allure and GT-Line. All Rifters will come with at least electric front windows, electric and heated door mirrors, air conditioning, a multifunction trip computer, Bluetooth, DAB, LED lights at the rear of the car, a leather steering wheel and the iCockpit cluster/steering wheel. The Active is quite a basic-looking car with more black plastic on its lower sections, a simple interior and steel wheels. Therefore, most will want to check out the Allure, which loads in more luxuries that make the Rifter feel much more civilian – such as a predominantly body-coloured exterior, alloy wheels, the eight-inch Peugeot infotainment screen and system and parking sensors. The GT-Line is the sportiest-looking Rifter and the range-topper, so it employs 17-inch alloy wheels, 3D satnav, dual-zone climate control and keyless entry and go. The Peugeot Rifter is a refreshingly likeable and honest alternative to the ubiquitous SUV – even if it takes some of its styling cues from that type of vehicle. It has a clever and capacious cabin, smooth driving manners and a range of decent engines to choose from. 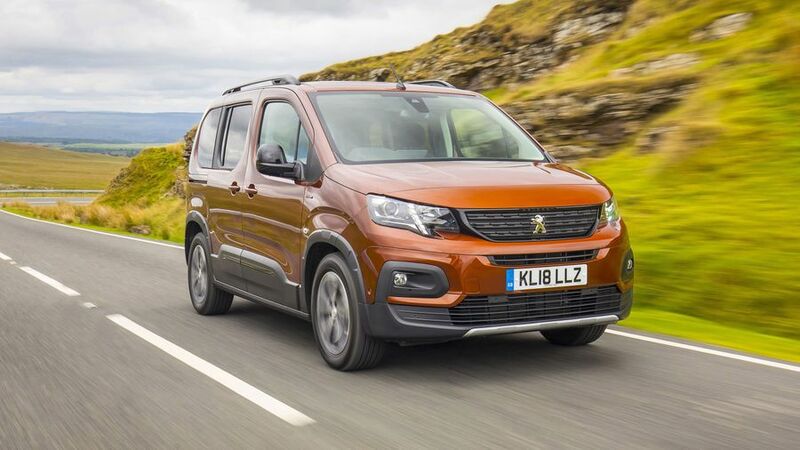 It should be cheap to run, easy to live with and great for families who need the maximum in practicality, while Peugeot’s attractive cabin design makes the Rifter stand out against its key rivals.